Dancing Without Borders creates experiences of wholeness, love, unity and collective empowerment. This creative, soul-building work serves the healing and evolution of humanity as we honor the sacred connection between body and mind, nature and soul. Dancing Without Borders harnesses the power of dance, rituals, storytelling and community to raise awareness of the most pressing issues of our time and celebrate our humanity. From creatively engaging civic society in campaigns, to uplifting festivals; from unifying an eclectic community of 2000 participants, to offering a creative experience at a NGO retreat, DWB applies the power of participatory art, music and production expertise to every project. We are redefining events as magical experiences that uplift, unify, and unleash human potential. Dancing Without Borders is known for its flash mob performances for social good. We are passionate about harnessing the life force energy towards an embodied shared vision that speaks to the collective heart of the people. In a time when violence, economic inequality and environmental destruction prevail putting all living beings deeply at risk, people are craving a sense of purpose, connection and hope. The flashmobs Dancing Without Border catalyze are a visual declaration that is widely accessible, celebratory, and action oriented. It becomes a memorable opportunity to experience even more deeply the inter-connectivity that unites all beings, and embrace the power in our diversity. As we move with the rhythm of our bodies, invoke the fullness of our humanity and spirit, the shared experience then becomes deeply healing, liberating, celebratory and empowering. Our work leverages the best of viral videos, accessible dance, collective participation and the “wow” factor of the unexpected intergenerational street performance. We partner with organizations or communities that have an important message or story to share through their people that resonates with our values. We support the creative and production development process. Our efforts are generally funded by our partners. A flash mob is a powerful, fun and creative way to invoke the trickster and poke at a dysfunctional system that we’re part of. It sends far and wide a message and a positive vision that is shared by millions of people who have been feeling stuck, oppressed and disempowered. The fun component is at the core of what makes movements grow successfully towards a better world. Flash mobs are joyful and uplifting. They help everyone realize that they are not alone and they are not crazy. By literally ‘embodying’ the message participants become further activated and involved, which serves the long-term goal of building a commitment to create a thriving and sustainable future. Dancing without Borders flash mobs are inclusive. They engage anyone who wants to participate. Young, elders, black, white, crippled or athletic. There’s a place for everyone to play, have fun and make a difference. Their power is in their simplicity. They capture the imagination by surprise, seeding hope for what’s possible – while building community. They are inexpensive and create far-reaching ripples. Flash mobs leverage the power of social media as they spread like fire on YouTube. With a tiny budget, they can easily get hundreds of thousands of viewers. It’s a low cost way to share powerful and witty messages that are ripe for our time. Our first two flashmobs received 150,000 views in the first 7 days after the release. Soon, we will have a Dance Activism Toolkit available for you to download. Stay tune. Ready to offer an experience that’s unifying, uplifting and memorable for your attendees? Feel the energizing, memorable and unifying effects of dancing together throughout the day. This bonding and liberating experience leaves delegates energized, connected, and inspired. 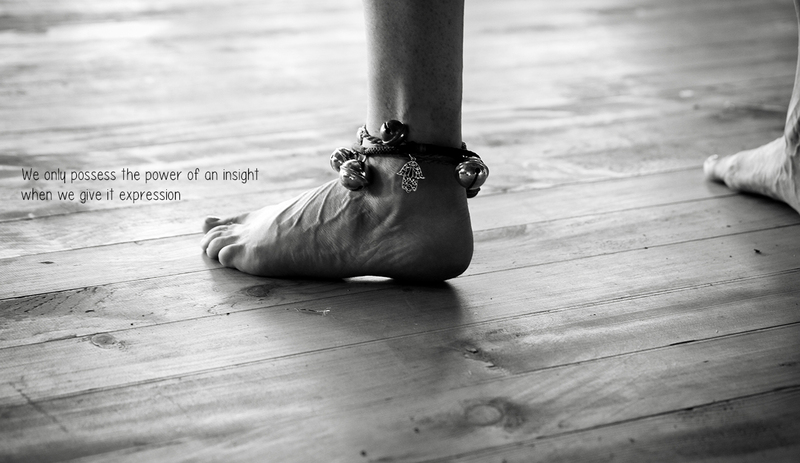 Integrate a Dancing Journey experience in the evening as a means to bond the community together intentionally in the spirit of authenticity, connection and celebration. Create a threshold ceremony that connects participants to the shared vision beyond words. This process is designed with our client based on objectives. It can include dance, drumming, or something else that suits the spirit and intention of the gathering. spend large sums of money getting people to attend. A lack of energy leads to a lack of focus which in turn results in cost. Nothing like a Dance Journey in the middle of the conference to get delegates back on track, energized and inspired. End the conference on a high note for the closing or bring the interactive dance experience in the evening. The experience we catalyze invite participants to drop out of their minds and into their bodies to unwind and integrate the day. This is an opportunity to connect deeply with self and others in fun ways words cannot express. Participants journey through an ecstatic wave of world and contemporary beats and rhythms; surfing their way into the integration of embodied expression and mindfulness. No dance experience required. Are you seeking to experience the true potential of community as a vehicle for collaboration, social innovation and fulfillment? Are you longing to get to know who you really are and experience coming home inside? Are you seeking ways to support the actualization of the human spirit – yours and others? You know there’s a path to co-creating a culture that is fueled from the source of empathy, passion, self-knowledge and shared vision. You might feel that something is missing in your relationship to feel truly connected and fulfilled. You believe in the power of the heart, creative arts, community engagement and thrive in spaces where authentic expression is celebrated. Whether you are aspiring to lead in a new way, launch initiatives locally or abroad, run a holistic center or face a time of transition, our training programs might be the perfect medicine for you and your community. By offering conscious leadership & relational skills, Rising Together Programs are designed to provide you the tools, vision, mind-set and embodied understanding of what it takes to build a thriving community field while being true to yourself as an change agent. More about the curriculum here. Building community can feel like a passionate love affair. It’s often enlivening, messy, healing, overwhelming at times, nourishing, stressful and everything in between. When held too tight with control and fear, community can fall apart or becomes toxic. When it is thriving, its members become unstoppable; a real beacon of light and inspiration for all those who come into their contact. How to set the foundation to make your experience a positive and enriching one? This is where we can guide you. Rising Together is here to make your community and personal leadership journey more joyful, conscious, creative, effective and effortless. Bring your community vision, your whole self, your inner challenges and an opened perspective. We’ll bring you practical tools, effective practices and a mind-set that lies at the core of healthy and thriving living systems. See what offering moves you. We look forward to hear from you. Recommit to your true calling as a healer, visionary, community leader and change agent. Cultivate a new sense of confidence and perspective, affecting how you engage life from the most mundane to the most ambitious and how you can navigate the ebbs and the flows. For Corporate events, conferences, communities. From meditation labs, creative ritual experiences, immersive theater to poetry jam, we design experiences and contexts that uplift, renew and support greater collaboration. Based on your needs and intentions, we design with our clients a series of interactive experiences that support a greater sense of community, mindfulness, depth, breakthrough social walls, increased serendipity and unlock new possibilities for collaboration. This fast-paced large-scale community experience is a quick and accessible way to engage civic society or communities of shared intent to send a collective message in a playful, evocative and creative way. The experience sparks creative collaboration and invite participants from diverse backgrounds to unify to create something magnificent. The Envision Experience provides a flexible platform to send a meaningful message to the world at large in a creative, evocative and embodied way.